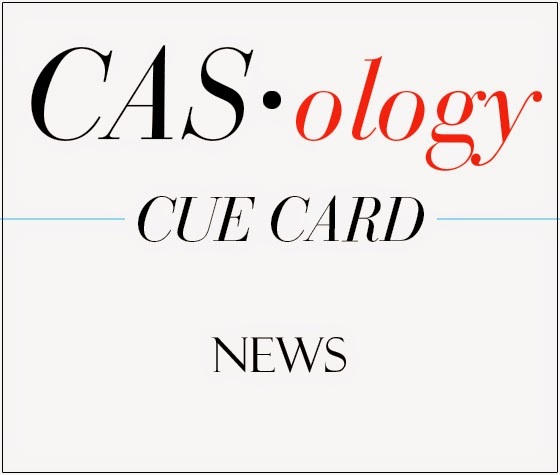 This week's CASology Cue Card is News. And we have big news to share! 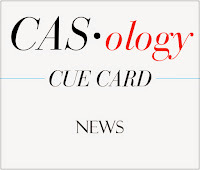 Make sure you pop over to CASology for details of our big news and our sponsor this week, The Alley Way Stamps. Since we had snow on Easter (we had a green Christmas) and since I'm falling WAY behind in my Church Christmas cards, I decided to go with Christmas news ("glad tidings of great joy") rather than Easter news ("He is not here, He has risen") for this challenge. I used an old Stampendous Three Angels stamp and a new Altenew sentiment from Lyrical Script. I stamped them in Versamark and then embossed with clear embossing powder. I cut two strips of silver glimmer paper and popped my focal panel up in between them. Now it's your turn - what's your news? Make sure to visit the rest of the DT for even more inspiration! 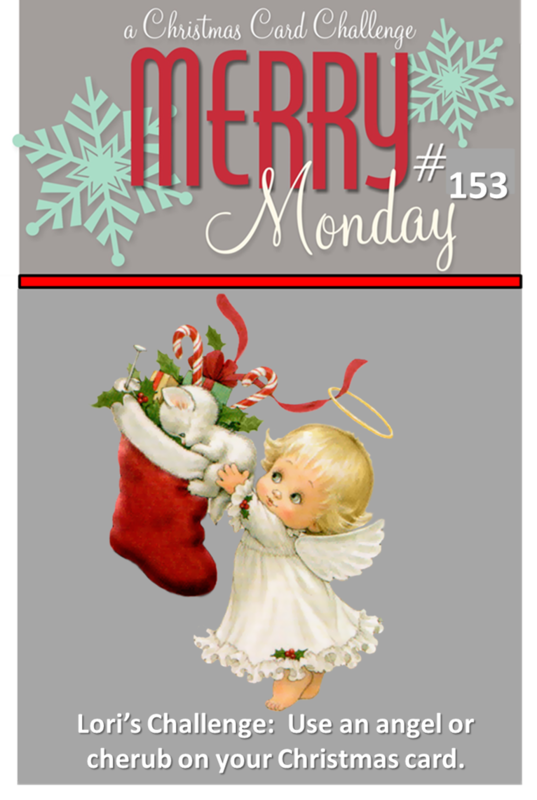 I am also linking this up to this week's Merry Monday challenge, to use angels. Fantastic Christmas card! Love all that sparkle and clean, crisp black and white! Beautiful card, Ardyth. Love that glitter layer, and how it pops against the white with black. Good news indeed! Love this angel trio and the fabulous sentiment! Thanks for sharing with us at Merry Monday! I always love you interpret the cue word. So cool! Love these sweet angels, so lovely, thanks for sharing!!! Your Angels are just so beautiful, sweet card. Sweet glitter perfection!!!!!!!!! Love the angels! CAS perfection with glitter!! Fantastic card!! Another clever idea! The shimmer paper looks so good...subtle, but still very effective! Gillian's wee one shares a birthday with Eric! I wonder if her family thought she was pulling off an April Fools Day joke? Mine did! Saw this on Merry Monday. Simply lovely. You're gonna win, girl. Love your take on the challenge Ardyth and so crisp and clean in black, white and silver. Great card! Love how you played on the news and the angels are perfect for the Merry Monday challenge. Fantastic card, I love the simple design. Thank you for joining us for Merry Monday this week. Ardyth, I love the black and white theme with the pop of silver...perfect take on the cue!